A Logitech web cam will allow you to make and receive video calls on your laptop. When you’re away on your holidays or on a business trip, your friends and family will appreciate seeing your face when you call home. A high-quality webcam can make a big difference to your video calls as it will ensure that you get a better picture and that you can always see and hear the person you’re speaking to. When you’re running late or you’re out of town it can be comforting to speak to your loved ones, and a Logitech webcam will make sure this is always possible. Our collection of Logitech webcams include HD cameras with incredible built in microphones that are perfect for important business calls. 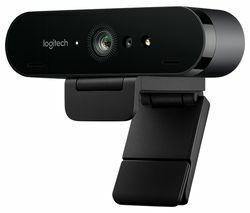 When patchy, low quality images or sound hinder your enjoyment, an HD Logitech web cam will give you a higher image resolution and greater sound capabilities than the built-in camera and microphone on most laptops. If you’re looking for something that’s reliable and even more affordable, check out our selection of HP webcams or check out the Advent webcams. 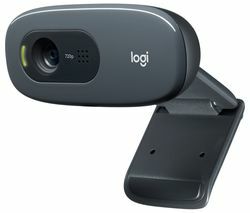 Whether you want to improve the quality of your video calls for business or pleasure, a Logitech webcam is ideal.